We’re back again for the Two Moons Review (cue the EXO song) with MoonSoshi9 and moonrise31! Girls’ Generation’s second Japanese album, “Girls’ Generation II ~Girls & Peace~” just came out on November 28th, and since the two of us are more excited than Sooyoung and Yoona at a buffet, we just couldn’t wait to talk about this magnificent musical marvel. The album comes in a regular edition that includes just the CD, a first press edition that includes the CD, a 32 page photobook, and a DVD with four music videos (“PAPARAZZI”, “Oh!”, “All My Love Is For You”, “FLOWER POWER”), and the deluxe first press edition, which we will be reviewing today, that includes all sorts of goodies. The deluxe edition comes in a rather large box that doubles as the cosmetic box that was advertised. Inside is the album itself with the DVD that includes seven music videos: “PAPARAZZI” (regular + gold versions), “All My Love Is For You”, “FLOWER POWER” (regular + dance versions), and “Oh!” (regular + dance versions). There is a 40 page photobook that includes all the lyrics and credits for the songs as well as pictures of all the members in flight attendant outfits for the Girls’ Generation Airlines concept of the album. Nine folded individual posters are the real bonus of the deluxe edition. The girls fit the motif perfectly in orange flight attendant outfits, as each poster is modeled like a vintage travel agency ad encouraging you to fly with Girls’ Generation to various locations all over the world. The last exclusive bonus is a pink Girls’ Generation Airlines travel notebook/photo album with stickers included. The quality of the photo album is actually quite nice and has a ton of pages where you can put pictures of your travels and write notes about them. It’s a cool little gift to complete the concept of Girls’ Generation Airlines. Overall the album packaging is stellar. It’s high quality, sturdy, and has a complete concept. Girls’ Generation had some pretty high expectations to live up to with his album considering how wildly successful and praised their first Japanese album was. They delivered. “Girls’ Generation II ~Girls & Peace~” is nothing short of spectacular. No sophomore slump for Girls’ Generation here. Each of the twelve tracks on this album show off the various sides of Girls’ Generation while at the same time flow well together to form a coherent and solid listening experience from start to finish (yes, even including the Japanese remake of “Oh!”). While the first Japanese album was a revolution for Girls’ Generation, the second Japanese album is more of an evolution. They continue with an electronic sound that marks their style in Japan, but it has become edgier and more refined. Like the lyrics in “Reflection” say, this album is “so tight, so tough”. The album starts out with “FLOWER POWER”, “Animal”, and “I’m a Diamond”. The beginning of the album grabs you and demands your attention. Girls’ Generation lets you know they are nine fierce ladies with these songs. The next section is the best part of the whole album. “BOOMERANG” is the next track, and I love the instrumentation and syncopated rhythm in this song. The harmony is very interesting and makes for a very cool sound and style. The sound engineering in “BOOMERANG” is interesting because the verses have a kind of phaser effect that modulates the vocals to rotate around like a boomerang. The next section of the album are previously released songs with “Oh!” (Japanese version), the amazing ballad “All My Love Is For You”, and “PAPARAZZI”. There could be a kind of glaring mistake on the album with “Oh!”, but let me explain why I think it works. It’s cute, yes, but so is the next song, “Girls & Peace”. These two songs represent the cute side of Girls’ Generation, and both have that electronic style and instrumentation that fit with the rest of the album. “Girls & Peace” is particularly fun and continues to grow on me the more I listen to it. Tiffany’s “Uh huh!” in the middle of the song gets me pumped up every time. The final track is “Not Alone”, the perfect closing song for the album. It’s a beautiful ballad with soaring vocals. Between this, “All My Love Is For You”, and “Stay Girls”, you won’t be at a loss for touching songs on this album. I have exactly one complaint with Girls’ Generation’s second Japanese album, and that is that “Beep Beep” from the “FLOWER POWER” single should have been included. Other than that, this album is pretty close to perfection. Is it better than the first Japanese album? That’s debatable (I might lean toward yes due to the fact that there is only one remake here whereas the first album had four), but one thing is for sure; Girls’ Generation proved that their first album was not a fluke. They delivered another amazing album with “Girls’ Generation II ~Girls & Peace~”. Although I don’t physically own one of these awesome albums myself, I think I’ve seen enough to make a somewhat informed judgment. The entire “airline” concept is a cool one and is carried out very well, from the “GG Airlines” logo to the travel journal that comes with the deluxe edition. The posters have the girls in their flight attendant uniforms, posing in front of various famous landmarks or as part of mock travel advertisements, which I thought was a nice touch. The music video DVD and photobook are added treats. I’ve always wondered what Girls’ Generation’s male fans would do with a cosmetics case, but I guess it could always be saved as a gift for someone special later on. 1. “FLOWER POWER”: Lots of different sounds come together here to produce something that caught me completely off guard the first time I listened to it. The verses have a very strong electronic twist to them, and Jessica and Sunny’s speaking parts stand out especially, with their disjointed inflections that make them sound almost robotic. I especially like the higher lines at the end of the verses that fall into the powerful chorus — very cool. 2. “Animal”: What I think is interesting about this song is the background tune that never really gets mimicked by the girls’ voices, so it creates a lot of fun melody interactions that make “Animal” exciting to listen to. There’s also a part when Sunny sings something similar to one of her lines from “BAD GIRL” (at least, tune-wise, but maybe it’s just me), which isn’t a bad thing at all because “BAD GIRL” is one of my favorite songs from the girls’ first Japanese album. 3. “I’m a Diamond”: I really like the opening of this song. The tempo is actually pretty moderate, but it feels faster because of the girls’ rapid lyric delivery. The contrast between the speed of the singing and the instrumental creates a kind of awesome tension that you don’t get from very many other songs. 4. “Reflection”: This is a very catchy tune with a strong beat that seems like it’ll never stop. So when there is a pause in the song, I find myself holding my breath along with it and don’t exhale until the girls start up again. 5. “Stay Girls”: This might be my favorite song on this album. It leans towards the ballad side, since it’s too slow to dance to, but it’s still catchy enough to stop the less classically inclined from falling asleep. The chorus feels as if it’s lifting me up whenever I listen to it, and once I read the lyric translations in Soshified’s Lyrics Center, I fell even more in love; the entire theme of keeping true to our younger days even as we become more mature is something I think we can all identify with, and the girls themselves have definitely found that balance. 6. “T.O.P”: I like the unique orchestra-like instrumental that really emphasizes the epic feeling of being on top. The heels-clicking-against-the-floor sound effect is a nice flair. And although I don’t understand Japanese, the English in this song is easily applicable to Girls’ Generation. 7. 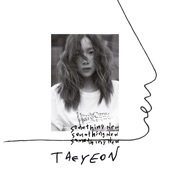 “BOOMERANG”: The long drawn out notes in the verses remind me a little bit of Girls’ Generation – TTS’s “Oh My God”; it’s an interesting feature that really makes the song stand out. Then there’s an abrupt about-face to a more pop-ish, lighthearted chorus, so this is another piece that does a good job of meshing together fairly different musical ideas. 8. “Oh!”: As much as I love this song, it feels a little out of place in the context of this album. It’s a fun, up-beat, catchy piece of pop music, but it doesn’t have the strong backing that the rest of the songs in this album do. Nonetheless, it gives a nostalgic feel for the earlier days of Girls’ Generation, which is always welcome. 9. “All My Love Is For You”: I have a soft spot for ballads, but what does it for me in this song is all the harmonies and ad libs that come out, especially near the end. As the girls have already demonstrated on live TV, “All My Love Is For You” really shows off their strong vocals. 10. “PAPARAZZI”: This piece can definitely hold its own against any competition. 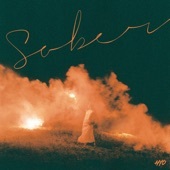 It’s got a stronger backbeat than conventional pop songs since what stands out is the solo drum, but it’s not nearly as techno as most of the electronic tracks on this album. I especially like Tiffany’s drawn out “ra-ta-ta” near the end. 11. “Girls & Peace”: This is a pretty standard pop song, I think, with the upbeat background and bright melody and chorus. The “whoo” insert surprised me, but in a good way. I’m curious about the dance, which will hopefully come along sooner or later. 12. “Not Alone”: This is a nice, relaxing song for whenever you just need to sit back and take a breath or two. I get the feeling that the lyrics are going to be sweet and insightful as well, so I’m looking forward to the translations from our hardworking Japanese subbing team! Overall, I’m very pleased with this album, if my nonstop replays of all twelve songs since November 28th are saying anything. Head over to these various online stores to purchase the album. When it comes to reviewing the music, you guys are trying too hard to sound like you know what you’re talking about..
Stay girls definitely is the best song in this album. I love their first album to death but same goes with the 2nd album. While I realize Oh! has been around for a while it has a special place in my heart. It was the first video I ever saw of the girls. It will never get old to me. As far as new songs on this album I’m partial to Flower Power and Paparazzi. First, I’d rather have ‘Beep Beep’ to replace ‘Oh!’ on this album. Second, ‘Stay Girl’, to my ears, is clearly outperformed among of the new tracks. Make the english lyrics to this song and I will approve it as their internasional debut song. Overall this album is almost as good as their first Japanese album. Stay Girls really is be the best song! I think the girls should dedicate it to each other the way they did with Complete, since that’s just as great for them together. :D I also think Beep Beep should have been included in the album. Could have used some better pictures of what comes in the album, like full pictures of the posters than came in it. I was wondering what they really looked like but there weren’t pictures included so I was disappointed. I absolutely agree with all of the positivity in this article, Girls & Peace is an amazing album. I think every single song is a winner, with the only low point being Oh! for me simply because it’s a song I’ve heard for so long and the Korean version is the one I’m familiar with. I’ll agree with MoonSoshi9 in stating that “Beep Beep” should have been on the album, but business is business; SM will do what they think will earn them the most money. Something that I didn’t really notice with any other album, but really made an effect in this album is the order of the songs. Front-loading all of the high energy stuff and withholding all of the “recent” songs until near the end was a masterful way to get the songs to flow together without being boring. “Not Alone” definitely was a brilliant stroke right at the end; it fits so well there and I can’t really imagine it elsewhere in the tracklist. At least for the first time someone listens to the album and until they find out which songs are their favorites. Great article and review, thanks and good job MoonSoshi9 and moonrise31. I love the girls very much, but the songs on this album are a bit mediocre compare to the first Jap album. Whoever choose the tracks for this album is a moron.